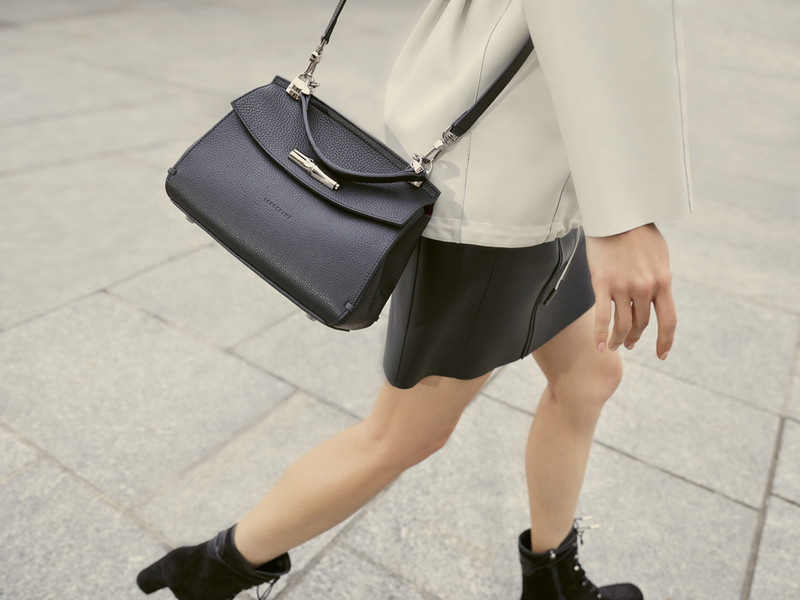 Contemporary luxury, creativity and dynamism are at the heart of Longchamp style. Since 1948, Longchamp, leather-sheathed pipe manufacturer, has expanded its savoir-faire to include travel accessories and handbags. Today, Creative Director, Sophie Delafontaine perpetuates this heritage and develops her vision of luxury for the contemporary consumer. With its ambassador, Kendall Jenner, Longchamp reinvents French elegance every season and offers ready-to-wear collections, bags, accessories, shoes, eyewear, luggage as well as a collection for men. Preserving its independent family origins, Longchamp is still owned and managed by the Cassegrain family. Today, the brand has more than 300 stores in 80 countries. Longchamp drew its inspiration from origami when creating Le Pliage, a light, foldaway bag that has since become a Longchamp icon worldwide. The Le Pliage line comes in a multitude of shapes and sizes, and in a rainbow of colors each season. Ideal for everyday use, Le Pliage is light as a feather, folds away to the size of a paperback, and is durable enough to keep all your essentials close at hand. 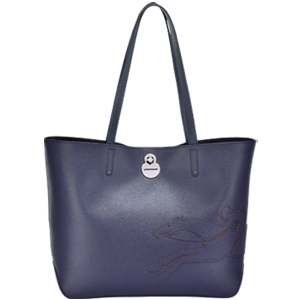 In this variation, nylon canvas is decorated with tone-on-tone Russian leather trim, and features an embroidered Longchamp horse. Contrasting painted edges and snap enhance the embroidered logo. This is a timeless line that will appeal to both men and women. L'Instinct Longchamp, like our inspirational Amazon woman, defies conventions, plays with forms, and flirts with eccentricity. The grained leather in this line accentuates its natural, raw style. Its signature logo: an oval decorated with pompons, is reminiscent of a sacred amulet. 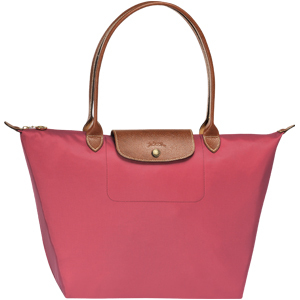 Longchamp's Roseau line combines simplicity and sophistication. 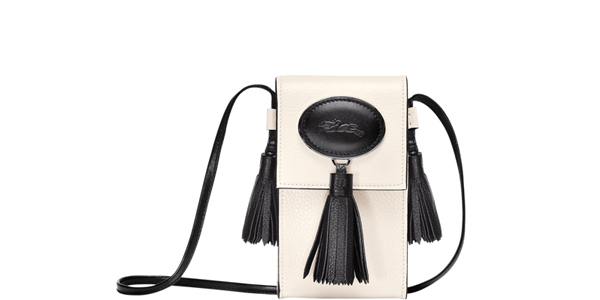 Roseau features Longchamp's iconic racehorse logo within a leather oval, embellished with a bamboo-inspired closure, which has become a signature of this collection. Light and supple, this line features clean-cut edges and colorful interiors. Roseau Dandy adds a twist to a timeless collection! This variation of Roseau is created in a printed leather featuring a micro-printed tie motif that offers a unique complementary masculine/feminine effect. 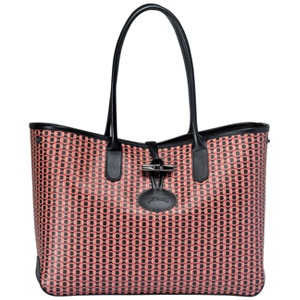 Longchamp's Shop-It tote is an ideal everyday bag for the office or shopping trips. These totes are lightweight, offering freedom of movement. 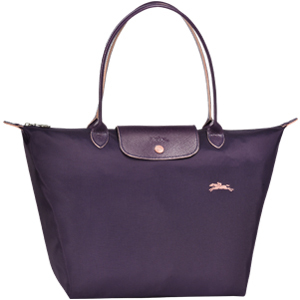 Longchamp's iconic galloping rider embodies this spirit and a casual sophistication. This season, a chic and lightweight hobo bag has been added to the line in a beautiful cowhide leather.